Welcome to Endless Summer! 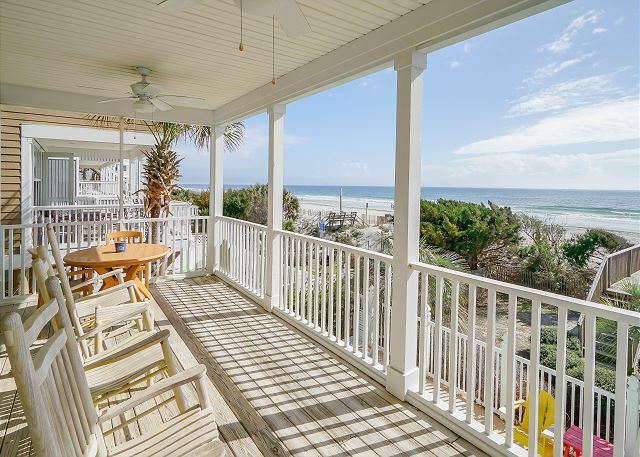 Professionally decorated direct ocean front 2240+ SF home with beautiful unobstructed views of the Atlantic Ocean. 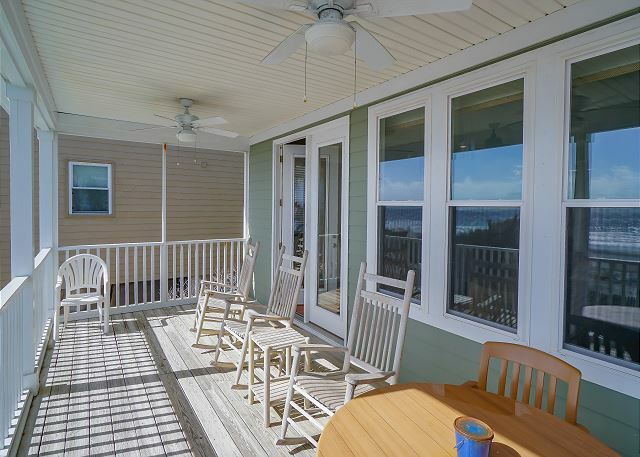 Covered ocean front porch to enjoy breathtaking sunrises, dining, or just relaxing. 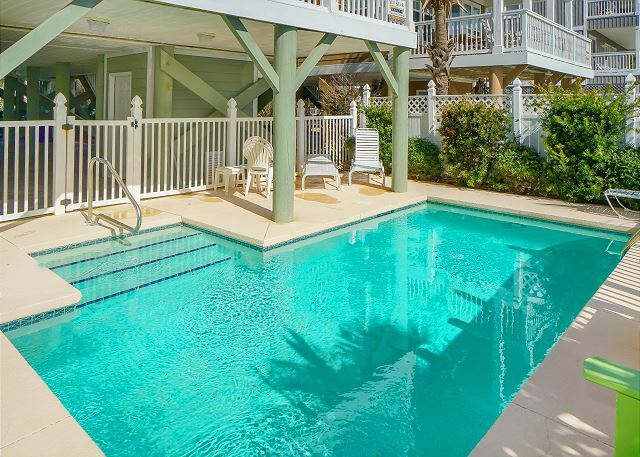 Step out the back door to enjoy in your own private 21' x 10' pool or take the private walkway directly to the beach. Large open living area with tile floors, brand new large flat screen TV, and a queen size sleeper sofa. Well equipped kitchen with all large and small appliances, dinnerware, cookware, glassware and utensils to prepare and serve meals. 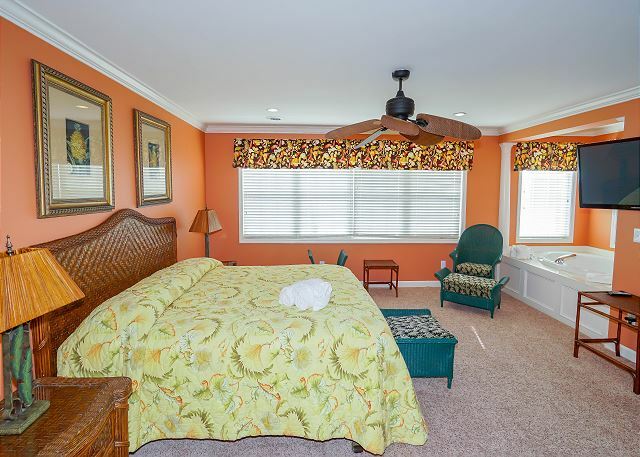 For added convenience you will find Wi-Fi throughout the home and flat screen TV’s in the bedrooms. The ocean front master suite features a king bed, Jacuzzi tub, and endless views of the ocean. Sufficient parking for five vehicles provided. Awesome vacation home! Just steps to the beach, the location was excellent! We were able to walk to the pier for lunch. Pool was great, nice and clean and big enough for our whole family to enjoy! The property was clean and well-maintained, we would definitely recommend to other families, especially with little ones! It was so nice to pop back up to the house if we needed to, or forgot something for our 1-year-old! 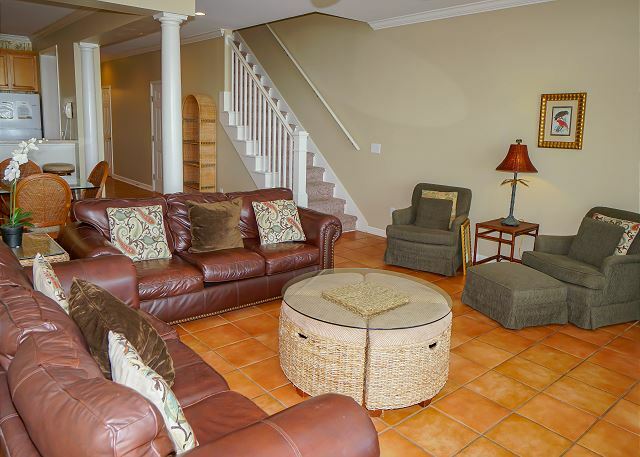 Very nice home to accommodate 4 adult couples with 4 bedrooms and 4 attached baths. 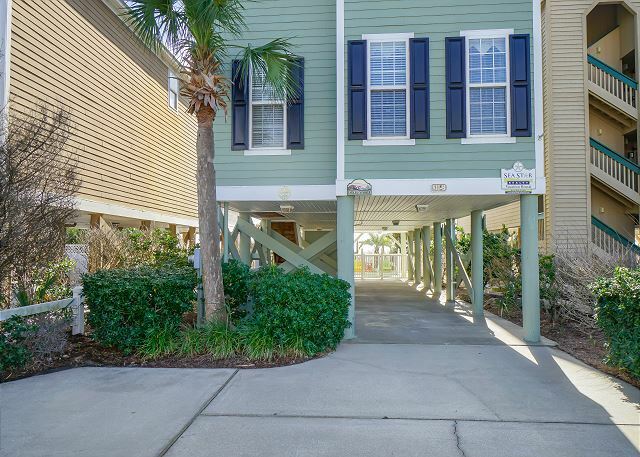 Good location with direct access to beach. Great time with great friends. A well organized rental, where the agency uses an excellent app to keep in touch. The property itself is truly beachfront, and us well equipped for two families. It's own pool is icing on the cake. This was a great property. Very clean, great location. Wonderful house, it has everything you need and the view of the ocean in wonderful. Great vacation spot for the family. Great clean and spacious vacation home right on the beach. 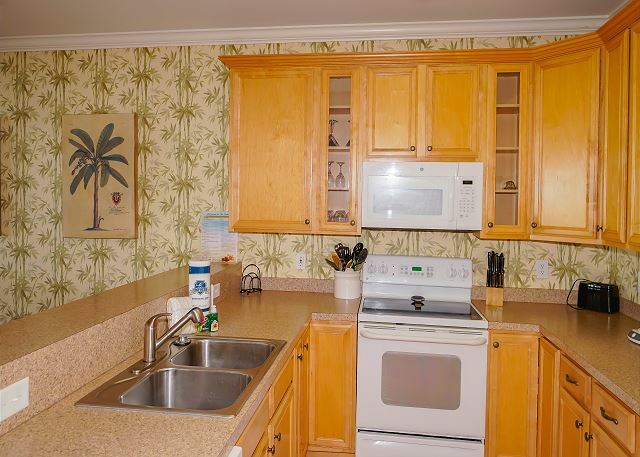 Very well equipped kitchen with nice pool. Thank you for taking the time to review! We are so glad that you enjoyed Endless Summer, and look forward to helping with any future reservations. Our family rated this vacation as one of the best ever! The house was perfect. It was very clean and the beds were comfortable. We loved the pool, easy walk to the beach and good view of the ocean. And we liked the convenience of check-in/checkout. Sea Star Realty was very professional and courteous. We are so glad that you had such a wonderful vacation, Brenda! Thank you for the kind words, we hope to be able to help you with your future family getaways! We are so happy to hear you enjoyed your stay with us! We look forward to seeing you again soon! The house was amazing. Everything was well maintained and the customer service both before and after the vacation was above our expectations. 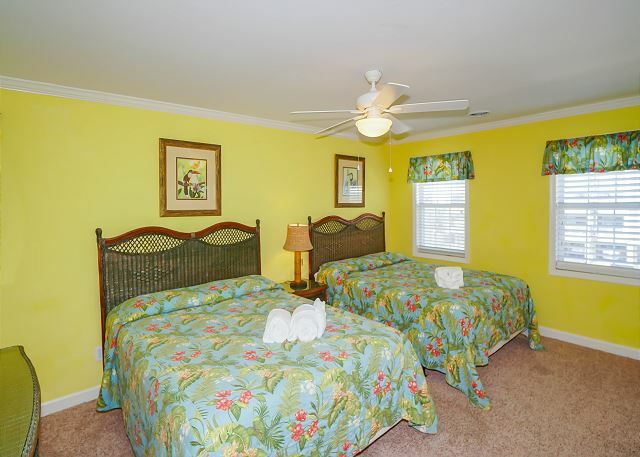 We would recommend this property to family and friends and would stay here again if we return to surf side beach. The location was perfect, close to the airport which we needed and shopping, golf, restraints were all close by. Thank you sea star reality for a great week. Kathy - we are thrilled to hear you enjoyed your vacation! It was a great place. Very clean. Plenty of towels. Very nicely equiped kitchen..I booked it for the coming year. Thank you Shirley, Sea Star can't wait to see you next year! My husband and I and our 5 kids are spoilled when it comes to good vacation. We always get a nice house with a great pool and of course it has to come with a breath taking ocean view and we were not disappointed. The house is lovely, clean and welcoming. I particularly loved that we had a beautiful bouquet of freah flowers siiting on a beautiful and clean(spotless) glass table in the dining room. 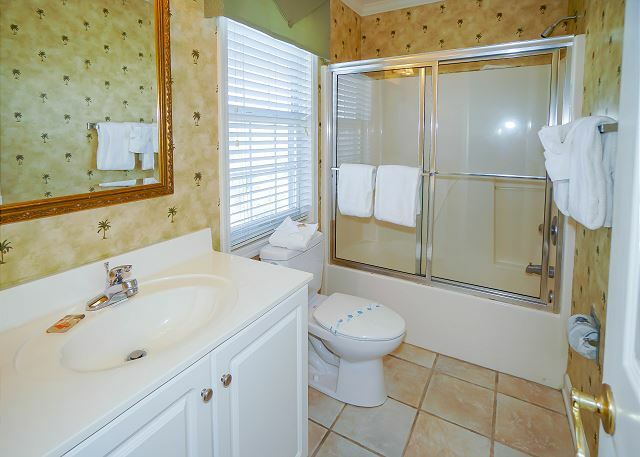 All the bathrooms were clean and the towels WAS SO WHITE AND SO CLEAN that make me want to rent this house again!!!! Everything was great, we had a great time. The pool was very clean, it got cleaned every other day by a great gentleman and his lovely son. Thank you Dawn for been so nice and so easy to deal with. Wonderful house... Even better views.. This was a great choice for my family. Everyone had their own bathrooms, which was a huge perk when getting ready to go out in the evenings. Will definitely stay here again! We traveled with three other couples and two small children. This home was sooo perfect for that size group. The home itself is beautiful and what impressed me the most was the very well supplied kitchen. There were plenty of dishes, glasses, silverware and most of all lots of pots and pans in all different sizes. I have been to other rentals where I actually went out and bought what I needed because it wasn't supplied. The pool was small but very nice. We paid extra for heat but it kicked off at some point and the water was very cold. Another feature I really appreciated was that all linens were included in the price. 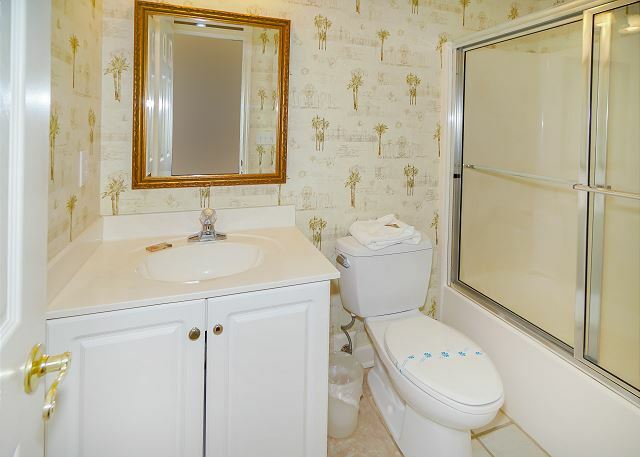 With other rentals we have had to pay separately if we wanted linens, plus there were plenty of towels for each bathroom. Fabulous home, right on the beach. Nice, large rooms. Everything you could possibly want from a beach house. Towel supply was incredible!